The singer, currently appearing as a coach in BBC One talent show The Voice, said his role in Sky Arts show King Of The Teds was not "far removed" from how his life could have been. He plays Ron, a redundant bottle factory worker who was once a top teddy boy in his youth, in the drama alongside Alison Steadman and Brenda Blethyn. Sir Tom said: "I was a teddy boy and I was singing so if I hadn't had a hit record that could have been me." The singer said acting was more difficult than his role on The Voice, which was "still music", but that he would like to do more. He said: "I wouldn't mind playing a bad guy, again it wouldn't be that far removed." 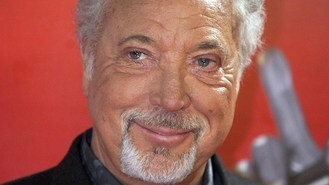 Sir Tom, who turns 72 in June, previously took a brief cameo role in Tim Burton's comedy Mars Attacks, playing himself.